Backed by over 20 years of experience, Sterling Refrigeration is the backbone of many food processing facilities in North Carolina which rely on professional industrial refrigeration services. View our North Carolina reviews to see how we get the job done right, on time and within whatever budget is given to us. Great service from the technician. Al is very responsive and very professional;. My concern is our backup compressor quit working while he was working on it 3 weeks ago. Sterling sent some others to assist but they did not get it running. When my primary compressor went down on a Sunday, they found the issue was a blown fuse. If I had had it running I would not had to call on a Sunday so don't bill me for the Sunday service. Gene, We appreciate your feedback. I will have our Service Manager look into this and get in touch with you. Thanks Again for your input. Good to have some one like mr. AL good technician. Your Techs are showing lots of experience. Repaired leaking packing nut on discharge valve for compressor # 4 of Industrial Refrigeration system Performed maintenance the equipment PM'S for the week. Purger had cycled 0 times since last visit. System operating as designed. Service call to pm and troubleshoot condensing units #1 and #2 Unit #1 cleaned condenser coil, checked liquid drier pressure drop and checked compressor motor amps and Freon charge. The evaporators on this unit are in pretty bad shape and are 85% clogged and need to be replaced to meet room cooling requirements. Unit #2 cleaned condenser coil, checked liquid drier pressure drop and checked compressor motor amps and Freon charge. 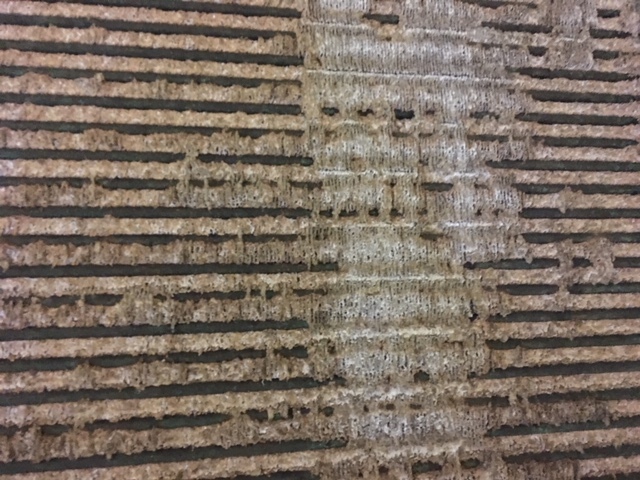 The evaporators on this unit are in very bad shape and are approximately 95% clogged and need to be replaced to meet room cooling requirements. No adjustments to the system will resolve the issue Including the oil logging problem for the compressor which I have turned off at the disconnect on the roof to prevent any further compressor damage. Cleaned condenser coils on 3 different units at building #4. Customer called 3 times after hours and stated 1 compressor was tripping out on oil pressure to low. Also stated 2 compressor suction pressure was going up with machine loaded up,. Customer changed oil filter on 1 comp as I arrived on site. Checked it out and oil pressure was at 136psi and filter diff pressure at 2.0 psi. Monitored 2 compressor everything seemed fine. Performed maintenance related PM's on system. Purger had cycled 0 times since last weeks visit, good System operating as designed. Performed equipment PMs on Ammonia Refrigeration system Purger has cycled only 2 times since last visit. Cleaned condenser sump changed out faulty water make up valve and replaced man hole door gaskets. Removed cleaned and reinstalled all oil return screens on dry side of separator on compressors. Purger had cycled 90 times in 2 weeks. Performed maintenance PM's on equipment. System running as designed. Changed oil filter on comp 3 Performed equipment rounds Performed equipment PM. System operating as designed. Changed all fan drive belts Evp condenser. Performed maintenance PMs on equipment. System operating as designed. Performed maintenance related PMs System operating as designed. Swapped out SRV on Condenser Drained oil from Recr package Performed maintenance PMs on system System is operating as designed. Troubleshoot #2 compressor remote start was not working. Recalibrated ammonia sniffer in attic above shipping dock. Drained oil from suction Accumulator maybe 3 gallons removed. Performed system maintenance related PMs. System operating as designed. Changed oil filter and gasket on compressor #1 leak test and test run. Changed oil filter and gasket on compressor #3 leak test. Took oil samples and sent off for analysis for compressor 1,2@3. Performed other related maintenance PMs. Amps on recuriclator pumps were 8.2 and 8.3 System operating as designed. Removed and replaced fan shroud on #3 with new bearings and shaft kit. Test ran fan upon completion and cleaned up work area. No problems noted after 30 minute test run. Made adjustments to #4 compressor on the new touch G-force panel, got oil heaters working and set up the ethernet communication to operate in remote and tested system. Performed system PM's. System operating as designed.